Thrower: Why don’t you play wargames? 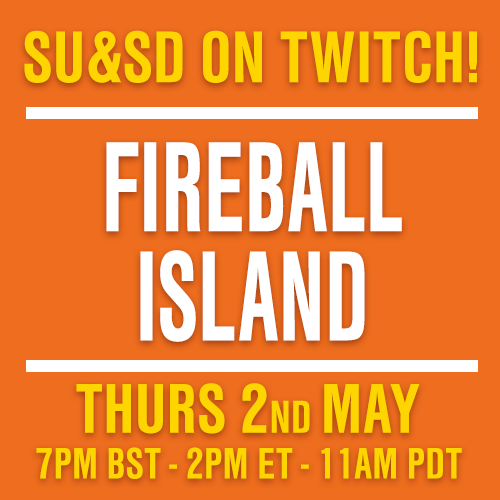 Why, after all I’ve forced SU&SD to publish about them at gunpoint, have you not pressed the nuclear button on this this amazing corner of our hobby? There’s lots of reasons I can think of. Possibly it’s their rumoured rules complexity. Maybe the focus on simulating men being sad in some mud. Or perhaps it’s the drab art and thin components? WELL, I’ve got a game for you with none of that! 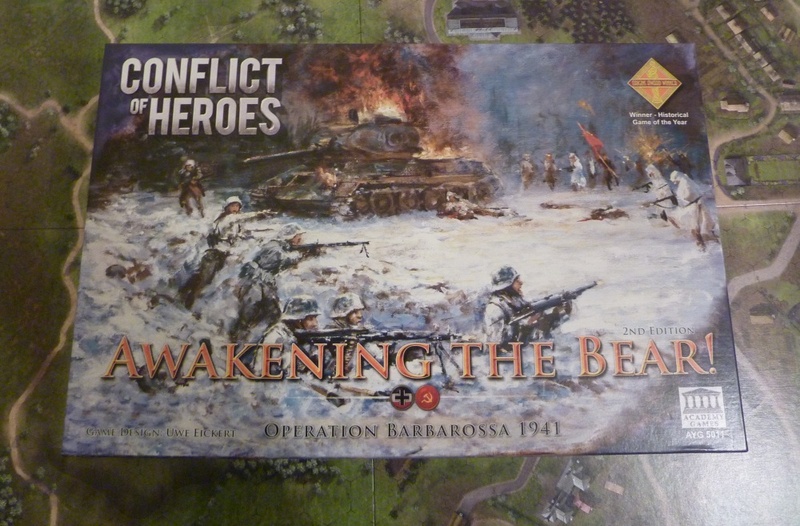 It’s called Conflict of Heroes: Awakening the Bear (a series you might remember from my primer on wargames or my article on the best introductory wargames) and Academy Games made it just for you. Yes, you. The publisher even said so on its sister game, Storms of Steel. “The historical wargame that Eurogamers love to play,” was the actual marketing copy. You can smell the difference between CoH and typical wargames the second you open the lid. It’s the faint scent of solvents from the decadent, multi-coloured printing used on the mounted boards and fat counters. 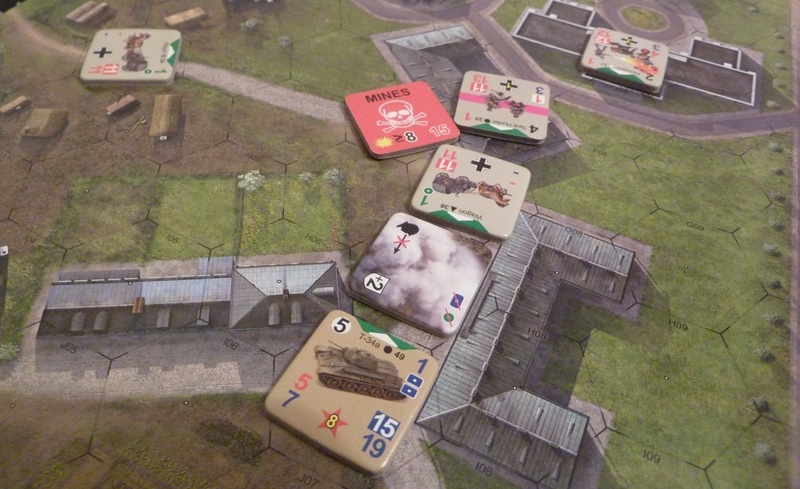 Oddly-named German tanks rumble around in the box. You can even see a flamethrower doing what flamethrowers do in slightly more detail than you probably want. Alas, in spite of the name, there are no actual bears. The enormous visual appeal of Awakening the Bear is there to invite you in to the command tent. To make sure you stoop, remove your cap, and take a good look at the tactical map before pushing some counters around, just like you see officers doing in all the best war films. You’re on the Eastern Front in 1941 mein Kapitän, and it’s Operation Barbarossa! Your job is to command squads, platoons and companies in thrilling tactical firefights. Before doing so, you will have to take a look at the rules. They’re not long, only eleven pages. If you still find that offputting then, consistently eager to help, the game organises them into a modular learning format. 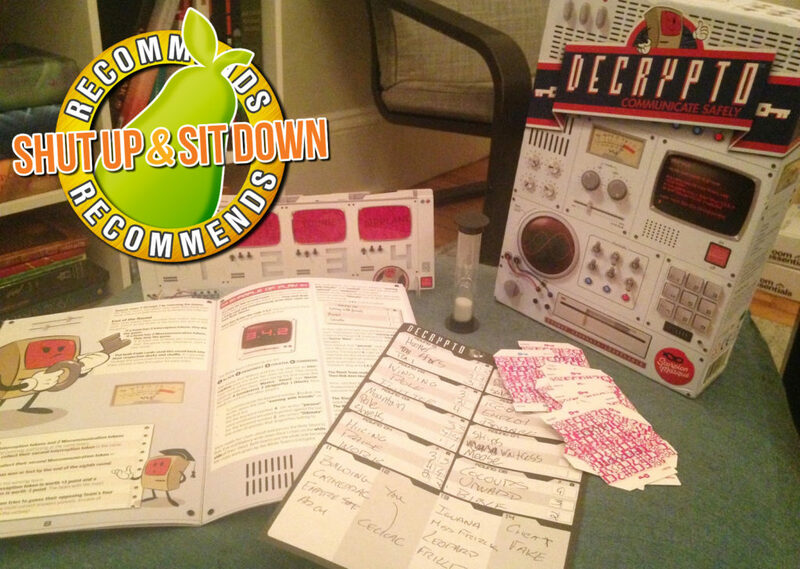 To play the first few of the fifteen included scenarios, you need just six of those pages of rules, one of which is just an example. Lured by those fat, shiny counters, you’ll get stuck in and uncover one of the fastest-flowing sets of mechanics in all of wargaming. 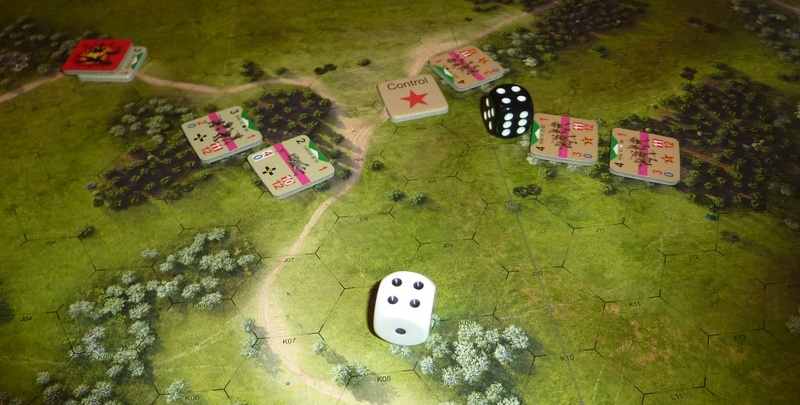 One player performs a single task with a unit – moves a hex, pivots, unleashes a volley of fire. The other player does the same, and then it’s back and forth over and over until everything has moved. 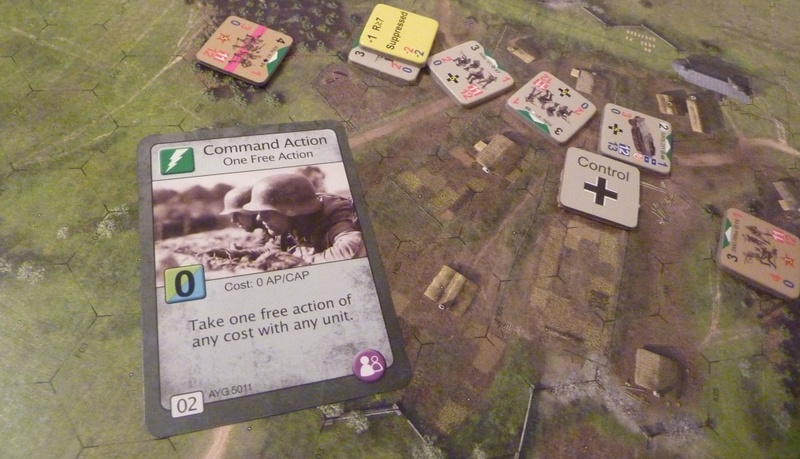 These tiny microcosms of action help the game bypass much of the complexity of other tactical wargames. There’s no need for opportunity fire, because since the other player has a go after every single move, he can just choose to fire at your exposed unit. It also makes the game move at astonishing pace. At its best, playing CoH feels like watching a flick-book cartoon of a World War 2 firefight. 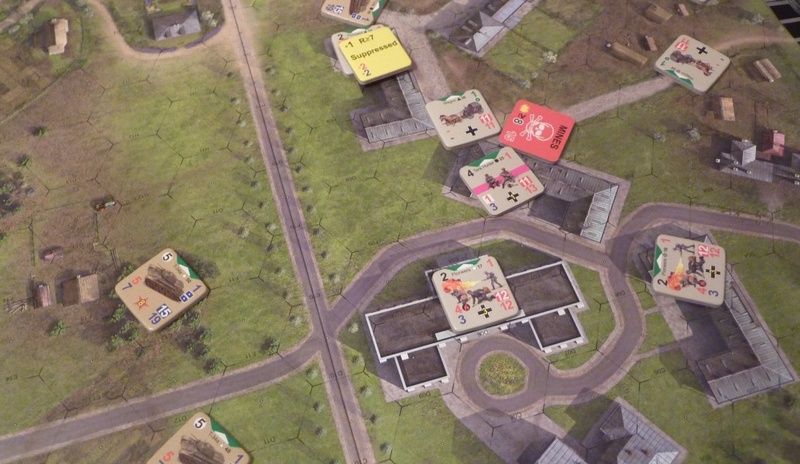 Buzzing under the player’s thumbs, units dash across the map from cover to cover. You can almost see them leaping into foxholes and behind trees as murderous shells whistle past their heads and pick off stragglers. Sometimes the action slows and pauses when one side or the other gets caught in the game’s brilliant mechanical bind. You’re only allowed one “active” unit at once, see. You can move and fire with that unit until it runs out of action points. Then it’s “spent”, and you can’t move it again that turn. It’s a simple system which quietly subsumes differences in training and command between the Soviets and Germans. What, then, do you do if you’re inching forward with a pioneer unit and the enemy makes a bold dash out of cover on the other side of the map? You want to open fire with the light machine gun you’ve stationed up there just for that very purpose. But… you can’t, because it’s not your active unit. You could activate the gun and fire, but the means immediately spending either it or the pioneers, wasting action points. You could also use a few of the tiny, tiny pool of additional command points each side gets, but they’re so rare and so valuable that using them is like opening a vein. Each choice is fraught with the awful, unknowable future: if I do this now, will I regret it later? Mentally, your brain becomes a firewalker, dancing on the hot coals of indecision. It’s such a horrible experience that both players do everything in their power to avoid having it. 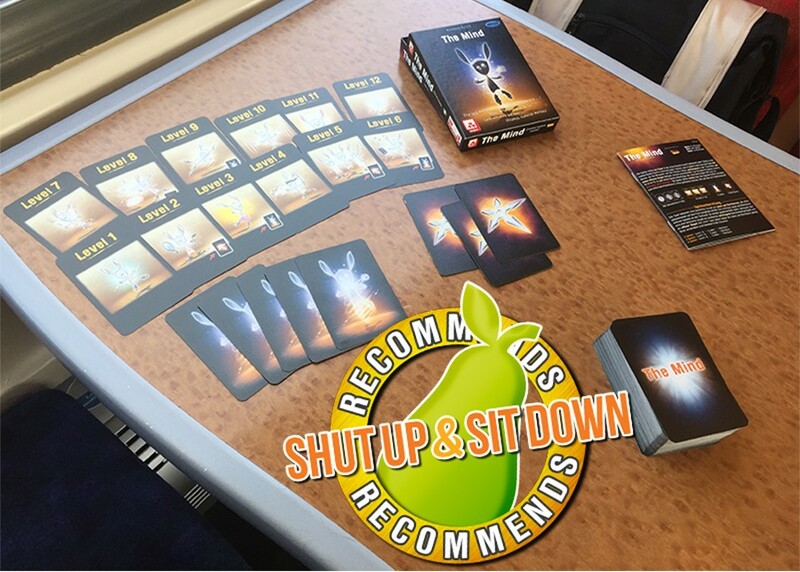 Working out the least critical moves each turn and doing those first, watching the cartoon flick away from you, hoping your opponent runs out of obvious things to do before you do. It’s like a giant game of chicken, but with even more death. When the action slows, the game gets less frightening and a whole lot more interesting. Making the right choices about what to do (and when) means making tight calls about allocating action points among the forces at your disposal. 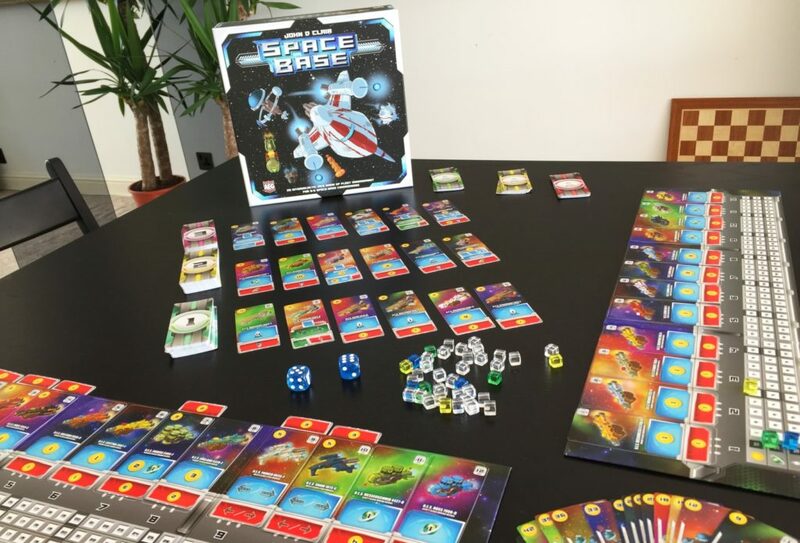 They get progressively tougher as you throw cards, terrain and the sprawling variety of different units into the mix. It’s here that the game earns that promotion strapline as the wargame for Eurogamers. Here, there are big decisions to make. Fat numbers to crunch. Yet all this delicious tactical meat has to hang on the bones of a game system. You can start doing tricksy things like passing, trying to force the enemy to run out of trivial actions first. Or running you out of active units and command points so they can attack your spent troops with impunity. The result is situations that are interesting to play, but self-evidently nonsensical. 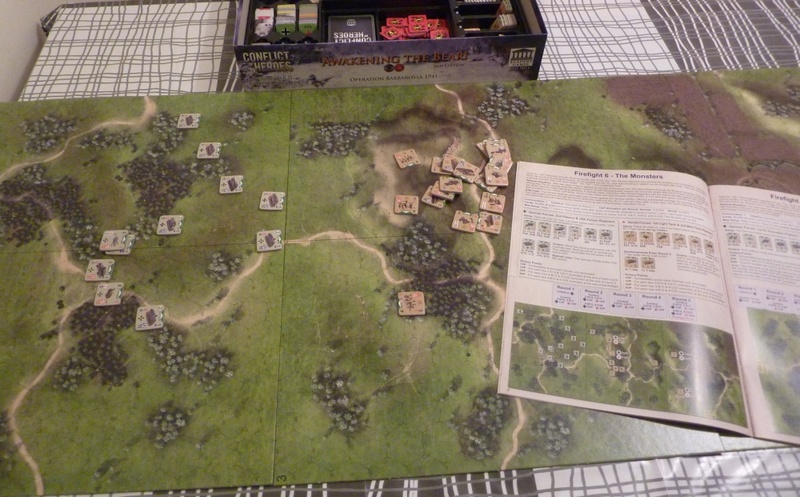 In other words, Conflict of Heroes is a brilliant game, but often a poor simulation. All the excitement of warfare with none of the blood. Do I care? Not really. For the occasional silliness the game throws up you’ve got hours poring over difficult decisions while your very own war movie unfolds beneath your fingers. Master the basics and a whole world of tactical wargaming opens up for you, more complex scenarios, other CoH games based on different theatres, a solo expansion, a system to create your own scenarios from scratch, even a sheet of additional counters featuring a 200 ton tank. What’s not to love? Well, a lack of any British troops is an ongoing sore point. It’s hard to love a conflict between Hitler and Stalin, the twentieth centuries’ two favourite mass-murderers. Not least when they’re labelled as “heroes”. But nomenclature aside, Conflict of Heroes wants to be all things to all people and makes a fine job of it. Walking the line between the war and the game with considerable style, panache and flamethrowers. Were you disappointed that Star Wars Rebellion wasn’t quite the thematic, thoughtful, 2 player slug-fest you were hoping for? Have a good think. It might be that Conflict of Heroes was what you were looking for all along.